Midfielder hoping to follow in footsteps of Paul Dummett to improve St James' Park prospects. On-loan St Mirren midfielder Conor Newton is desperate to make the same kind of impact as Newcastle team-mate Paul Dummett. 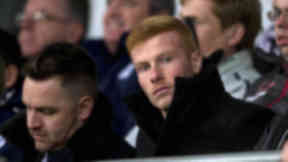 Newton has followed the lead of close friend Dummett by swapping the black and white stripes of Newcastle for those of the Paisley side to get experience at top team level. The players have moved north following a newly-struck affiliation agreement between the clubs and it has already paid off for Dummett after he impressed with Danny Lennon's team. The 21-year-old left-back was recalled to St James Park for the Magpies' FA Cup third round clash with Brighton on Saturday before making his first-team debut as a second-half substitute. Now Newton, who is also 21, hopes to make a big impact too. He said: "That's why I am here - to make a name for myself and get first-team experience. "I had the choice of staying at Newcastle and playing reserve-team football or coming up here to play in the SPL, the SPL wins every time. "I'm over the moon for Paul. 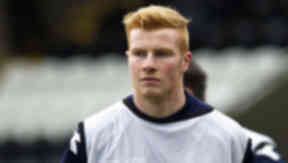 He did so well when he came on against Brighton and you can see he has improved a lot during his time with St Mirren. "He was more composed and confident and that is what 19 games in a competitive league does for you." Dummett will stay in top team contention at the Magpies this weekend but hads already expressed a desire to return to Paisley when the SPL resumes action after its mid-winter break. Newton has returned south to get himself in shape while the rest of his new team-mates were given a week off by Lennon. He said: "I'm just keeping myself ticking over. I'd rather keep myself fit than take the week off. "The rest of the lads have been given some time off but I am desperate to make an impact so decided to come back down here, keep working and make sure I'm ready to go when I get back up to Scotland. "Paul also wants to come back to St Mirren and that is great news for the club and for me. It's always nervous going to a new club but having him there on my first day really helped me settle in."